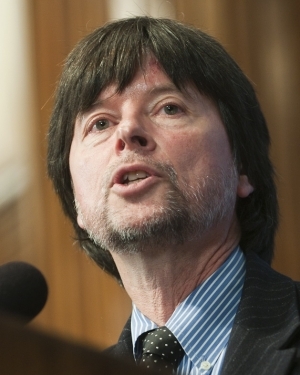 Prohibition sent American progress reeling backward and led to new social ills, including bootlegging and organized crime, documentary film maker Ken Burns told a National Press Club on Monday. The last segment of  Burns' exhaustive three-part series "Prohibition" airs Tuesday night on PBS. What he learned from doing "Prohibition," he said, is how little he really knew about it, the social forces that shaped it. "Drunkenness was a huge social problem," he said. "We were known as a nation of drunkards." Economic and social powerhouses such as John D. Rockefeller and Andrew Carnegie supported temperance movements because they believed drinking reduced worker productivity. Its advocates saw abolition as a way to rid America of its social ills, Burns said. "A majority of Americans came to embrace the notion that we needed an amendment to the Constitution that actually limited human freedom, when every other amendment has actually expanded human freedom," Burns said. Before Prohibition, the American model had been to move the country toward the future by expanding the rights of its citizens, Burns said. "This is the only amendment  that actually curtailed those rights," he said. "It coincided with this great liberation of the Jazz Age, and the Roaring Twenties economically," Burns said. "Everything else is going forwards in this country. The only thing that’s going backwards is Prohibition." For all that, Burns says alcoholism, as it is now called, continues to be "a moral issue" for the country. And is he a teetotaler himself, President Mark Hamrick asked. He used to be, he said. "I had to wear so many hats and work long days, and I always found that stopping for the drink was not conducive to continuing that work much longer," he said. That changed during the course of making "Prohibition," he said. "I felt compelled to drink, and drink significantly, during it," he said. Burns, who made his sixth National Press Club appearance with his Monday address, said he has always preferred history to fiction, but "not only the story of great men, and great events, or only a catalogue of white European crimes, but of past lives." Burns, acclaimed for such previous documentaries as "The Civil War," "Baseball," "Jazz," and "The National Parks," described himself as "an amateur historian," and "a kind of emotional archivist for the American people." "My creed, my mantra is, to listen to the voices of a true, complicated past that is unafraid of controversy and tragedy," he said. "We need to understand who we are.... Who are these complicated people called Americans? Where have we been, and where are we going?" But Burns isn't watching PBS or buried in historic documents all the time. "I’m addicted, as my oldest daughter is, to 'Law and Order,'" Burns said. "And I don’t mean the other spinoffs. I mean the pure, straight, not neat, as we'd say in the bartending business, 'Law and Order.' And even if I've seen them, it is sort of like the equivalent of the Japanese Noh drama, it is such a perfect, elastic form that you can see things over and over again and still marvel at how they connect the dots."